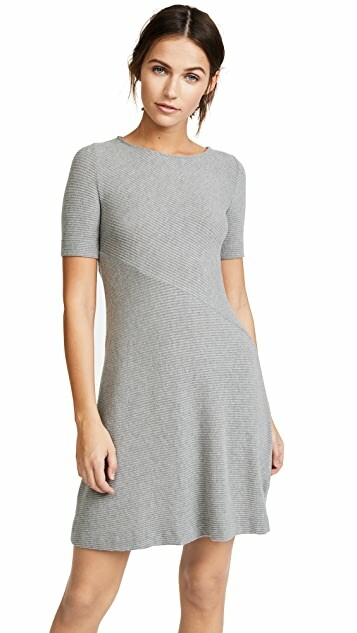 A soft, ribbed jersey Three Dots dress with an easy, flared skirt. 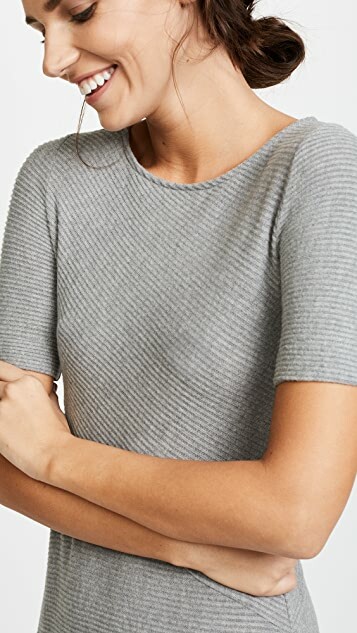 Wide neckline. Short sleeves. Unlined.